Whenever I used to rate the effectiveness fat loss workouts, a number on a scale was the ultimate measure of success in my mind. A few years ago, this idea was challenged in my mind by Teresa Tapp, the creator of the amazing T Tapp fat burning workouts. Here I am, before starting T Tapp. I was wearing XL and XXL size skirts at that point. This wasn't supposed to be a "before" pic. I was sucking everything in LIKE CRAZY. Keep reading, to see my "after" shot. With my last full-term pregnancy, I gained sixty pounds, and was very sedentary. SIXTY POUNDS! Yes, you read that right. And I didn't have twins. Just one baby. Let’s just say that my diet & nutrition during that pregnancy could have been less fattening. Unfortunately, most of my past postpartum weight loss success came through restricting the types of foods I ate, and not primarily through exercise. After six pregnancies, and little exercise during the last one, my muscles were very weak, especially my abs and back muscles. I had first read about T Tapp in the Spring of 2007 on one of my favorite blogs, Large Family Logistics. Its author, Kim Brenneman, called T Tapp fat burning workouts her favorites. I took this to mean they were the best workout videos she had found. That caused me to spend some time looking up the T Tapp website. When I saw the price of the DVDs, and learned that Teresa spoke during each entire workout, without music, I was a bit put off. I was used to paying far less for what I, at the time, considered the "best workout videos." All of the video workouts I had ever used had music in them. I was very skeptical about whether I would like fat loss workouts without music, and had a hard time believing that it could be that much better than many of the fat loss workouts I already owned. Several months later, I learned that one of the new women at our church used the T Tapp videos. I asked her how she liked them. 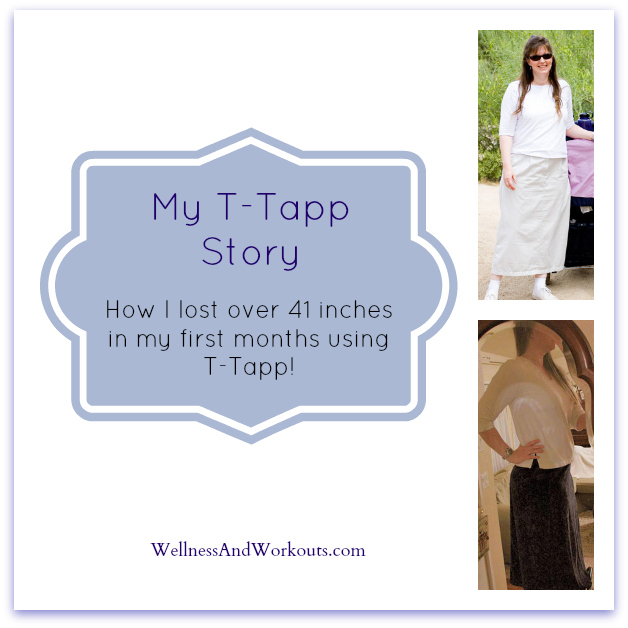 She gushed about the wonderful results she had with T Tapp. She more or less said that in her experience, T Tapp workouts were the best exercise for fat loss. Before I knew it, she showed up at church with a copy of the T Tapp Basic Workout Plus for me to borrow. It took me a while to actually get around to trying it, but once I started, I realized that this short, 15 minute workout was not only providing me with the lower back pain stretches I needed for my back to heal, (I had terrible back problems at the time, which made it almost impossible to work out, let alone walk or sit), but it also was building strength in my stomach and back, strength that was absolutely crucial for keeping up with my six young children. I purchased my own copy of the full-length T Tapp Total Workout, (I got the Total System, actually) and spent several months working out pretty consistently. Here I am after losing my first 41 inches, in a Medium sized skirt! T Tapp has the Fat Loss Workouts for Me! 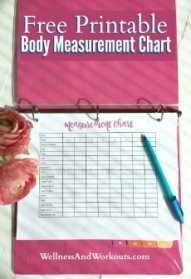 I knew I needed to take my measurements and follow the fat loss workout program as directed by Teresa Tapp. So I did. She said to ignore the numbers on the scale, and instead focus on inch loss. I had hoped I could do both, lose inches and weight, but decided to listen to what she said, and relax about what the scale said. Boy, am I glad I did. Though I only lost about 10 pounds that year, I lost over 41 inches! Clothing that I could wear when I was about 20 -25 pounds lighter, fit me again! I have more to tell you! Be first to learn when I publish more of my stories of how I've returned to a healthier body fat percentage, while leading a busy life as a home educating mom of six. If I can do it, you can, too. Sign up now, below to get my newsletter!